We’d love your help. Let us know what’s wrong with this preview of BK Commentary Gospels by John F. Walvoord. In the Gospels we witness the most crucial turning point in world history and the reason we believe what we do. The New Testament begins with four accounts of the “good news” of the Son of God. 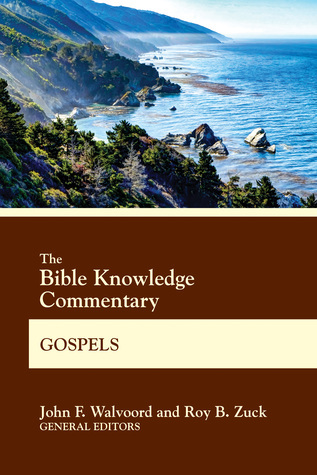 Drawing on the research of Dallas Theological Seminary scholars, The Bible Knowledge Commentary: Gospels explores similarities and differences among Matthew, Mark, Luke, and John. The authors also look at difficult or confusing passages, apologetic evidence for these eyewitness accounts, and what we can learn about Christ-like living from observing the life of Jesus. With dozens of visuals and Old Testament cross-references, this commentary is one of the most thorough and theologically sound studies of the Gospels. Journey with Jesus as if for the first time in this detailed look at His life on earth. To ask other readers questions about BK Commentary Gospels, please sign up.